INDUSTRY.co.id - Jakarta - Electricity, telecommunications, roads, airports and fuel supply (BBM) infrastructure have begun to recover in areas affected by the earthquake in Central Sulawesi. Assistance from foreign countries has begun to flow to the disaster site. "Currently 75% of the electricity system in Central Sulawesi has been lit because the PLTU Mpana has been operating normally. 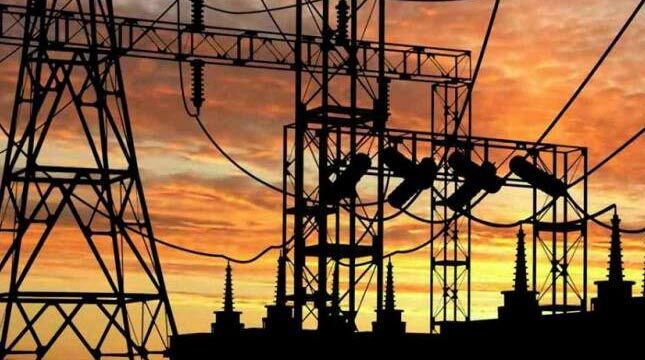 The five main substations and transmissions of Sulselbarteng are already operating, and 80 generator sets are already operating," said Head of Data, Information and Public Relations Center for National Disaster Management Agency (BNPB) Sutopo Purwo Nugroho. This was conveyed by Sutopo Purwo Nugroho in the Merdeka Barat Forum (FMB) Media Discussion 9 with the theme "Central Sulawesi Disaster Response Update", held at the Lobby of Graha BNPB, Jakarta, Saturday (10/06/2018). Meanwhile, Sutopo added, fuel supply to the affected area had reached 75% of the needs. A total of 17 gas stations have been operating. Meanwhile, road transportation around the city of Palu has penetrated 6 km from the previous one which was cut for 12 km. Mutiara Sis Aljufri Airport has been able to operate commercial flights in addition to assistance from military and foreign assistance. Regarding the acceleration of the recovery of the telecommunications system, according to Sutopo has experienced considerable progress. Currently, the Base Transceiver Station (BTS) of cellular operators has recovered by around 60%. "This is due to the recovery of electricity supply in Palu," he explained. From the latest BNPB data on H + 8, explained, until Friday (05/10/2018) night recorded 1,649 victims died, spread in Donggala District 159 people, 1,413 in Palu City, Parigi Moutong Regency as many as 16 people and 1 person in Pasangkayu, West Sulawesi. "Most victims were indeed in Palu. We saw that due to the tsunami, all the areas had not been evacuated. We keep trying to evacuate and all the bodies found were buried all," explained Sutopo. The bodies of the victims of the earthquake and tsunami were buried in mass at TPU Paboyan 628 bodies, 922 bodies were buried by their own families. Meanwhile, the body of a South Korean citizen was cremated at the request of the family and was taken to Korea. Regarding the condition of the refugees, there are still 62,359 people spread over 147 points. This number decreased from the day before because some had returned home or were evacuated outside Central Sulawesi. The government has also evacuated a number of refugees, especially from Palu to outside the Central Sulawesi region. A total of 6,157 people were evacuated consisting of 4,631 people to Makassar, 1,173 people to Balikpapan, 182 people to Jakarta and 171 people to Manado. The government facilitates this evacuation by airplanes and ships. "Most of them are migrants in Central Sulawesi or native people of Central Sulawesi but have relatives and relatives in the area," Sutopo said. So far, the priority of disaster emergency response in Central Sulawesi is still being carried out, namely the acceleration of evacuation and search for victims, the establishment of field hospitals, medical treatment and bodies, logistics distribution, acceleration of recovery of infrastructure, and handling of foreign assistance. To accelerate the evacuation, clean up the ruins of damaged buildings and roads, the government has deployed 51 heavy equipment. A total of 39 more units operate in Palu City and the Sigi region has 12 units. "If there is news on social media that in Patobo, Balaroa, Mamboro, Biuronaru is only done manually, that's not true. We used heavy equipment three days ago. The mud has begun to harden, making it easier for victims to search. There are also some locations where the mud is still wet. yes, we don't deploy heavy equipment there, "explained the Head of the Pusdatin BNPB. Also present at FMB 9 this time include: Deputy Foreign Minister Abdurrahman Mohammad Fachir, Assistant Deputy of Environmental Responsibility of the Ministry of BUMN Indriani Widiastuti, and Head of BNPB Data, Information and Public Relations, Sutopo Purwo Nugroho.